I've got an ongoing issue with iPhones not being able to maintain a WiFi connection. Latest iOS, Latest ExtremeCloud, AP3915i and AP3912i access points, WPA2-PSK. I suspect it has something to do with the pre- and post idle timeouts. The phones will show that they're connected to the WLAN, but they're not able to send or receive any data. Web pages just sit spinning their wheels. Or sometimes they'll show connected to LTE and the WiFi settings menu shows them trying to connect to the SSID with a "No Internet Connection" error message. Anyone else having this issue? 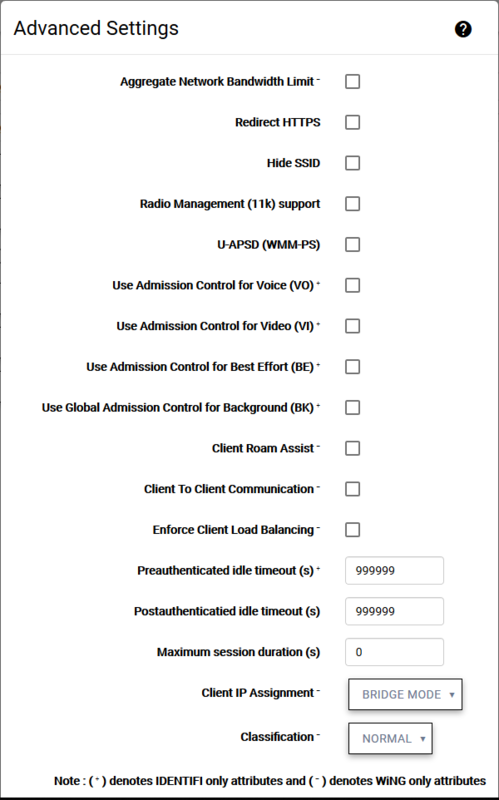 Recommended values for idle timeouts and session duration for a WPA2-PSK network? 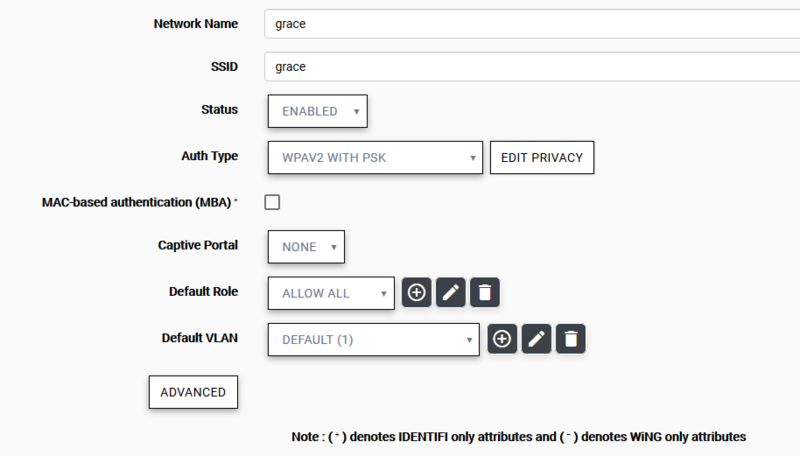 please post a screenshot of the SSID settings window + advanced settings window + edit privacy settings window. IMHO it has nothing to do with pre/post timer. I've previously used 300 and 1800 for the pre and post idle timeouts and still experienced the issue. I've read that there was an issue with protected management frames and Apple devices, but I thought that got resolved a while ago. No other settings are jumping out at me as likely culprits. Changed that setting. I'll give it 24h and see if it helps. 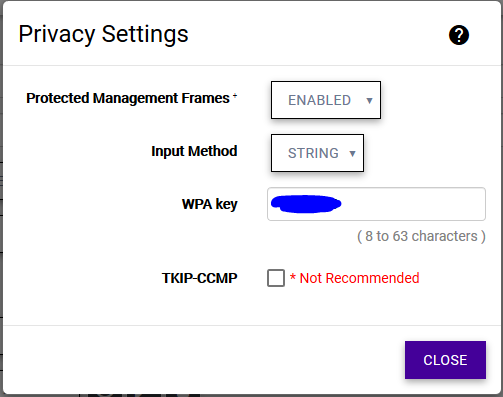 Disabling Protected Management Frames resolved the issue. Thanks!